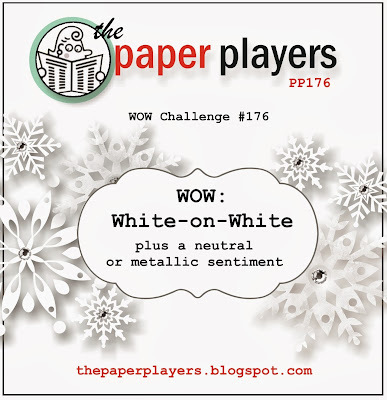 Greetings Stampers, and welcome to the final Paper Players Challenge of 2013! 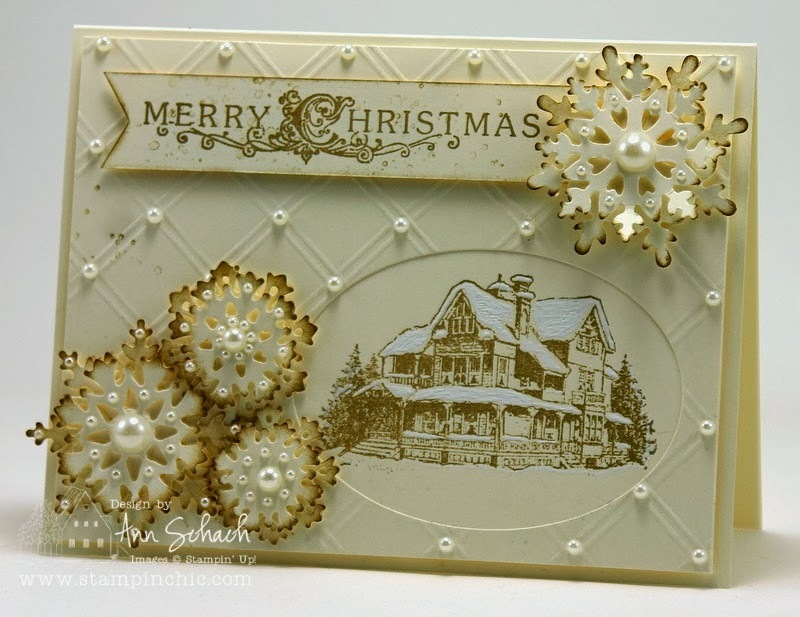 Before I tell you about it, I would like to thank everyone who played along with last week’s color challenge from Ann Marie. We all loved your beautiful creations! 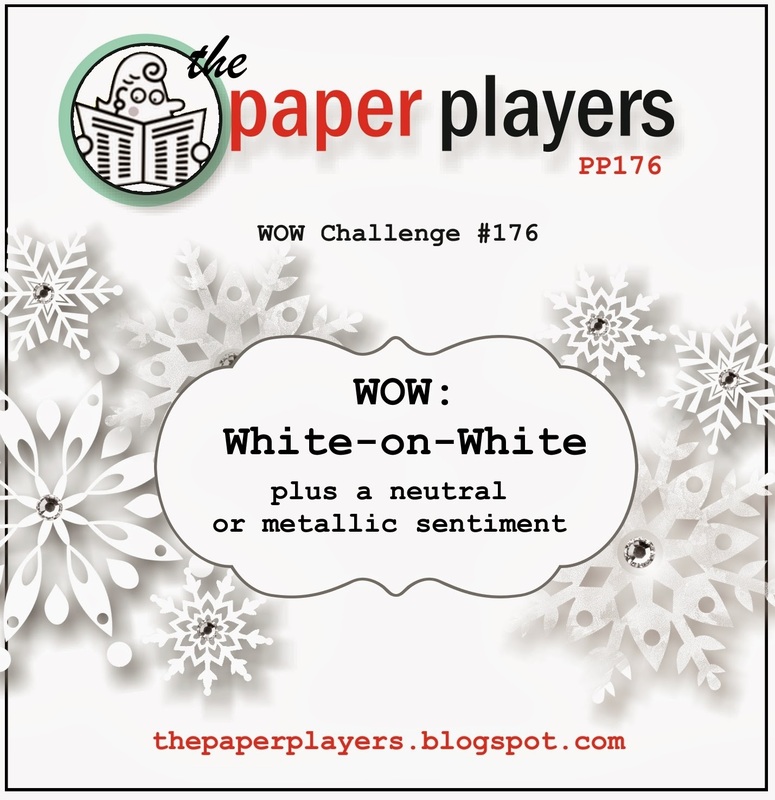 It's Sandy here as your challenge hostess this week and I’m changing things up a bit with a WOW: White on White challenge! 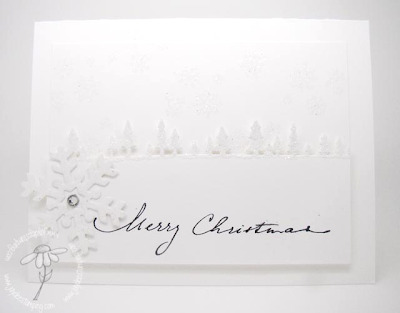 You can use white or vanilla for your project and any neutral color or metallic for your sentiment. Feel free to think beyond Christmas and snowflakes. 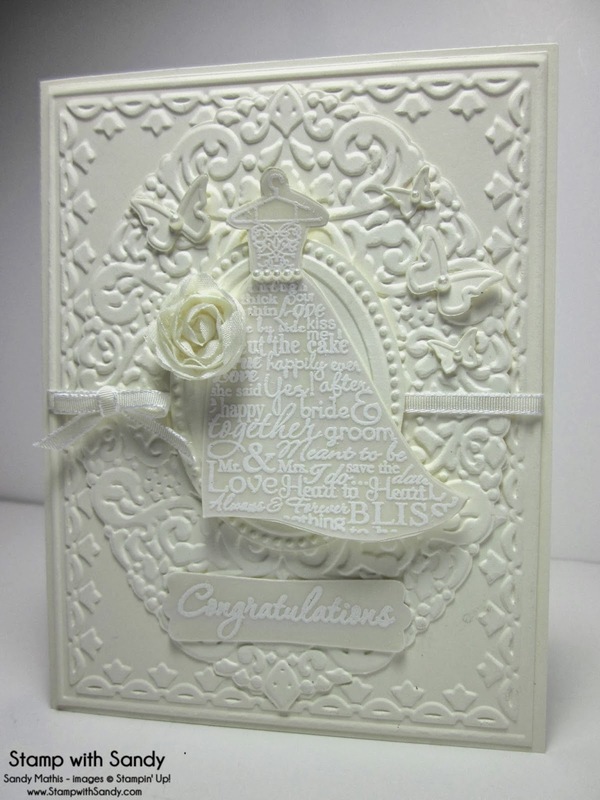 White on White is also perfect for weddings, anniversaries, christenings, sympathy and more. 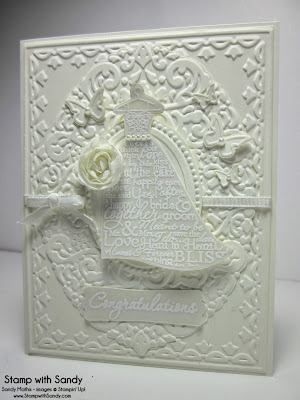 I’m so excited to see what you create, and I know you’ll be inspired by the creations of our Design Team! all these cards are magnificent. Thank you so much. I love this blog and although I have not dared to enter a challenge yet, on day soon I may pluck up the courage to enter, I always visit, and am following in all ways possible. This challenge is inspiring. 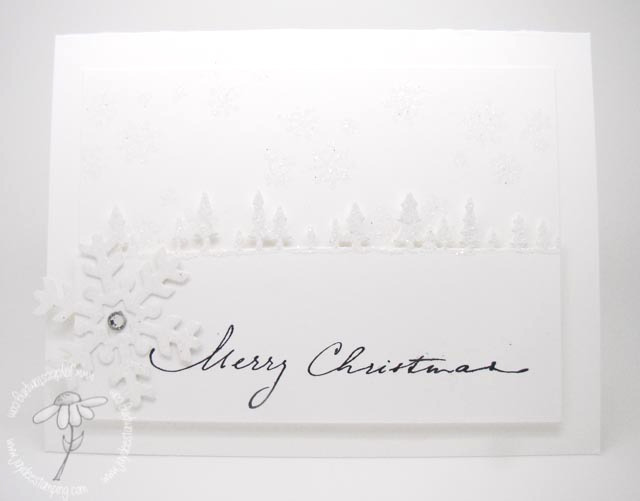 I now have this year's Christmas card design to send out to my friends and family...only five days out from Christmas, lol! Beautiful and inspiring samples, ladies! !